Here’s a nod to pumpkin season, but not the ubiquitous “pumpkin spice.” The large proportion of pumpkin yields a bagel that is compact and chewy, but not hard or dry. If you’re not an anise fan, or prefer something more savory, caraway or cumin seeds could be interesting. 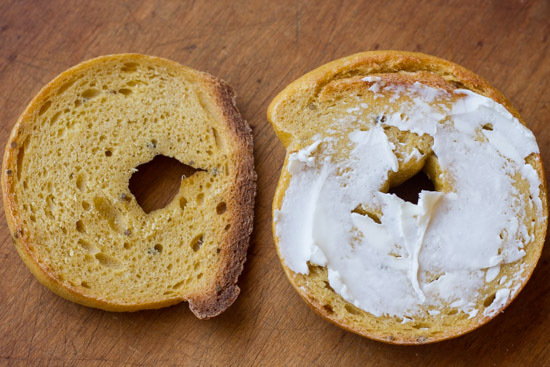 I think most people believe bagels are difficult to make, but they’re not. They do require a lot of mixing to achieve a high degree of gluten development, though, so a stand mixer is helpful. 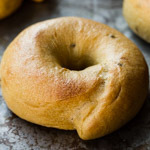 That’s even more true with these particular bagels, because the pumpkin should be evenly incorporated in the dough, and that will be challenging if you’re mixing by hand. But it’s not impossible; just plan to spend at least 30 minutes giving your arms a workout! Combine the flour, pumpkin, water, brown sugar, salt, anise seeds, and starter in the bowl of a stand mixer. Mix on low speed to combine. The dough will start out seeming very dry but will get more supple with continued mixing. Mix on medium-low speed until the dough is very smooth and strong. How long this takes will depend upon your mixer. Cover the dough loosely with a towel and let it rest for 10 minutes. 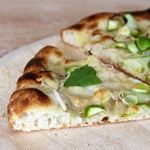 Divide the dough into 12 pieces of about 85 grams each. Flatten each piece (they will be approximately 2 inches in diameter) and roll tightly into a cylinder (don’t continue rolling to extend the cylinder’s length at this point). Cover with a towel and let rest for 10 minutes. Meanwhile, line a baking sheet with parchment paper and dust it very generously with semolina. Alternatively, I recommend reusable parchment, with no need for the semolina. 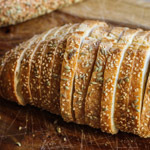 To shape each bagel, roll the dough to extend each cylinder to about 8 inches long, without tapering the ends. Wrap the dough around your hand, with the ends overlapping by an inch or two in your palm. Roll your palm on the (still unfloured) counter to smash the ends together. Place the bagels on the prepared baking sheet, and slip into a large food-grade plastic bag or cover with plastic wrap. Proof for about 2 hours at warm room temperature (longer if your room is cooler), until the bagels look and feel a bit puffy. Then refrigerate them overnight. Meanwhile, preheat the oven to 450F and put a large pot of water on to boil. When the water has reached a rolling boil, add the baking soda. Drop the bagels, three or four at a time, into the vigorously boiling water for 20 seconds, or until they float (whichever is longer). If they float right away so the tops are not submerged initially, flip them over about halfway through the boil. Remove the bagels from the water to the cooling rack with a slotted spatula. 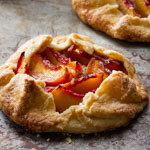 Let them drain for about 30 seconds before replacing them back onto the semolina-dusted, parchment-lined baking sheet. Turn the oven down to 425F once the bagels are in. Bake until golden brown, about 28 minutes. About halfway through baking, open the oven door briefly to vent any steam. Cara Susan complimenti per il tuo strepitoso risultato. I Bagels formati con le tue mani sono sempre perfetti e sempre splendidi nella loro ricettazione. Trovo che sia molto interessante l’abbinamento polpa di zucca con semi di anice. Cercherò di riprodurli quanto prima, bellissimo il lavoro che hai eseguito. Susan, this looks soooo tasty! 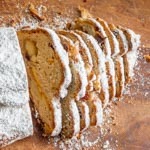 And the color and texture of the crumb… perfect! Very delicious sounding. But for those out there with blood pressure issues- skip the anise. It is known to raise BP. The only thing about bagels that is kind of a pain is the boiling part. You shaped yours beautifully. They look amazing! I am unaware of a link between anise and high blood pressure, and I’ve been unable to find credible scientific documentation of this. There is a concern with licorice, though, which tastes similar to anise but is a different plant. These look so good and I have all of the ingredients. But I am new to sourdough and not quite sure what you mean by 100%-hydration sourdough starter. Your question has two parts: At the risk of overkill, and because I’m not sure who may stumble across this thread, I will try to answer both. 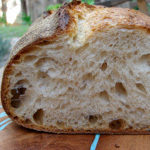 Sourdough starter is a natural or “wild” yeast kept alive in a mixture of water and flour. When added to dough, the yeast in sourdough starter produces gas that causes the dough to rise. Unlike store-bought yeast, sourdough starter also comes with naturally occurring bacteria. 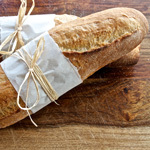 These bacteria produce acids that add flavor to the bread and extend its shelf life. Another feature of sourdough is that the yeast is relatively slow acting. The longer rising time brings out extra flavor in the dough. A 100% hydration sourdough starter is one in which the amount of water present is equal to (or 100% of) the weight of the flour. For example, in 100 grams of 100% hydration starter there are 50 grams of flour and 50 grams of water, the weight of the yeast and bacteria being negligible. 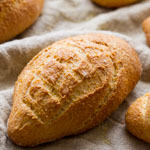 Knowing the hydration is helpful because it tells you exactly how much flour and water your starter is contributing to the overall dough formula. If you have an active sourdough starter but don’t know its hydration, just keep it on a feeding schedule of equal amounts flour and water by weight. Within a couple of days it will be at 100% hydration or close to it. Hope this helps. with that said, is there a way to adapt the bagel recipe if your long-standing starter maintains a 60% hydration? would it need more water? is there a formula i can use to change the proportions of ingredients to yield to my starter (so that i can keep it happy at 60% that my main recipes use? )instead of making the starter yield to the recipe as you suggest? I have some leftover pumpkin puree begging to be used. Your shaping is amazing. You know, I keep thinking about making bagels and then chickening out, but this really looks straightforward…and I do have a fabulous stand mixer! Can we skip the overnight rise? A long, cool fermentation imparts flavor, so I don’t recommend skipping it. But if you must, make sure you at least make the room-temperature proof long enough to give you sufficient gas production or your bagels will be too dense. An extra hour or so might be enough for that, depending on your room temperature. Hello, Susan. I was all set to head for the kitchen to make these right now, but then got caught up in converting from grams to ounces. You’re converted some of the ingredients, and I thank you for that. For those that you have not converted, are they measured by weight or by cup … the flour, pumpkin, water, sourdough starter? I’m guessing weight, but would hate to waste the ingredients and time if I’m wrong. Thank you for a truly yummy-sounding recipe! I just made these for the first time last night/this morning. I didn’t have anise so I substituted cumin, as you suggested. They also didn’t rise much in the fridge overnight, so I stuck them in a slightly warm oven for about an hour this morning to give them a little last minute boost before I boiled and baked them. They turned out perfectly!! 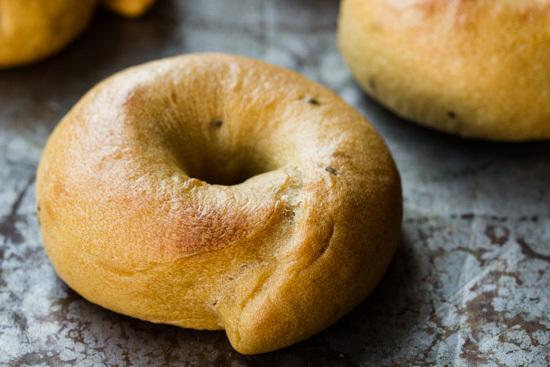 I have tried making regular bagels before, but they’ve never turned out this good. The texture was perfect. Thank you for the recipe! 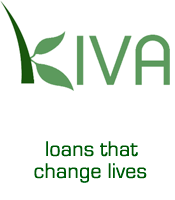 I really like it all its really interesting one I must say you have done a great thing in making it all good. These are great! Easy dough to work with. I cut the recipe in half and then made the dough into 4 larger bagels (my preference). My starter was fed with whole wheat and rye, and I put in about 1 Tbsp mesquite meal for the brown sugar, so mine were not as sweet. I also used a curry spice mix for the anise, which worked well. Next time I might try adding toasted sesame seeds and using pumpkin juice for all or part of the water.